I’ve been listening to podcasts since around 2001, when I’d board a shuttle on my college commute, threading my iPod earphones under a down jacket so the wire wouldn’t freeze in the Minnesota winter and crackle the sound. Here’s my latest list of regulars on my Stitcher app. 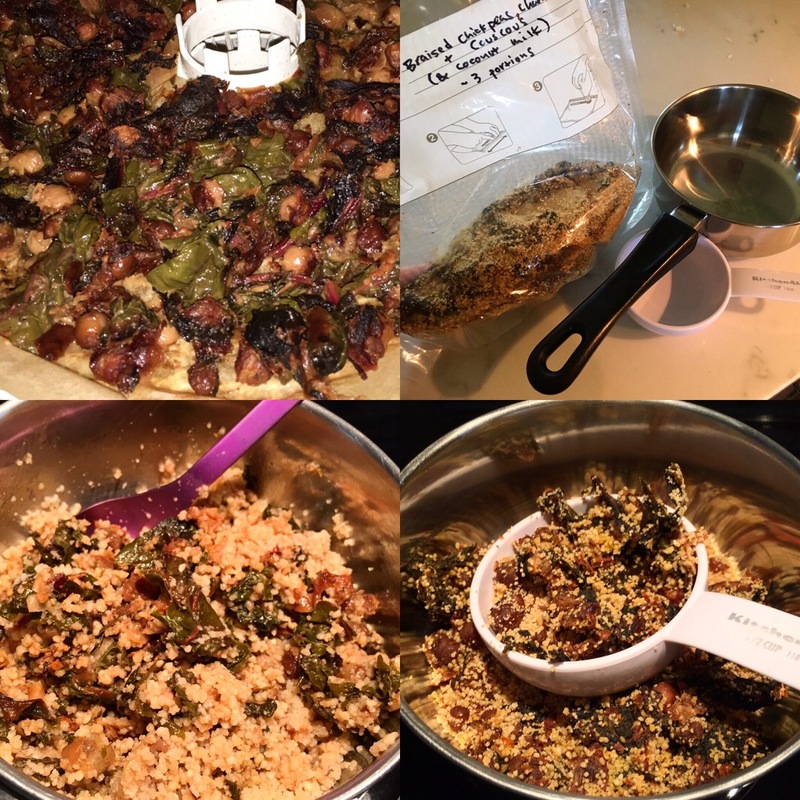 Stories on food and its origins and how it connects us, plus a strong thread of hearing the less-told stories of how minority groups or unexpected narratives contributed to mainstream food culture. 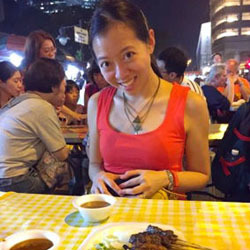 Food Without Borders: Food writer Sari Kamin speaks with guests on how food helps connect them to their past, ease potential conflict across cultures and strengthen the future. She also explores the immigrant experience in the U.S. today. Gastropod: food with a side of science. Heard their oyster episode just as I was putting finishing touches on my post about going to Taylor Shellfish on a road trip. This is current go-to podcast each week, as of Spring 2018. Gravy: the Southern Foodways Alliance has been putting out some really exciting stories over there, exploring stories and histories of food from different cultures living in the United States that traditionally haven’t had a loud voice in the mainstream. Heritage Radio Network: the only online food station, and a powerhouse of food-related segments. Racist Sandwich: lives in the intersection between food, race, gender and class, and shares some very frank perspectives. Podcasts not always in my regular rotation but worth considering. The Dave Chang Show: multimedia mogul, foodways vanguard, and student of life David Chang hosts a series of guests to talk about their inspirations, failures, successes, fame, and identities. Between watching Ugly Delicious and restaurant news, a person only has so many hours in a day to spend hearing about all the great things caused by David Chang, which is the only reason this doesn’t always make my regular rotation in 2018. Bonus points: this show is part of The Ringer family from my favorite voice in the sports-related podcast realm. Full disclosure: K calls Dave Chang my cultural appropriation outrage soul mate, ha. Food for Thought: stories related to food in Seattle, under the NPR umbrella. Special Sauce: comes from the Serious Eats professionals, hosted by Ed Levine. Do you have a favorite food-related podcast that’s not listed here? Post in the comments and share, or tweet me @FoodtheWongWay. 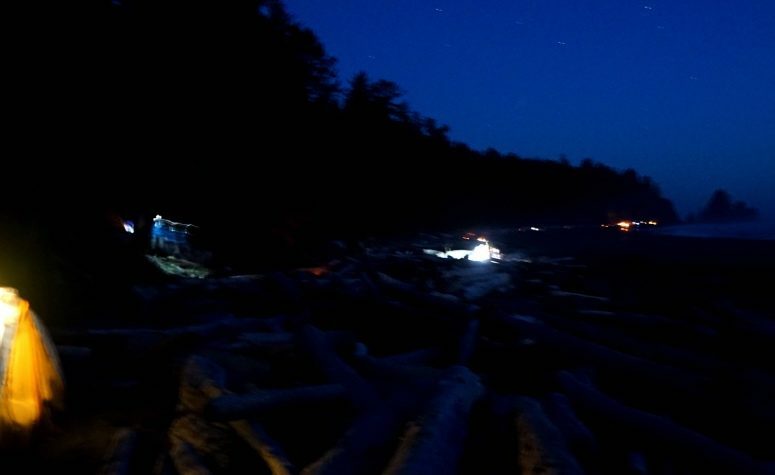 Curious about the world, looking for kindness, good stories, PNW news and inspiring life paths. 99% Invisible: stories for those curious about the world! Freakonomics: Steve Levitt and Stephen Dubner, co-authors of the book of same name, “explore the riddles of everyday life and the weird wrinkles of human nature”. This podcast regularly scratches my curious behavioral economics itch in life. Hidden Brain: a conversation about life’s unseen patterns. Lexicon Valley (Slate): John McWhorter explores the history and roots of different language questions. 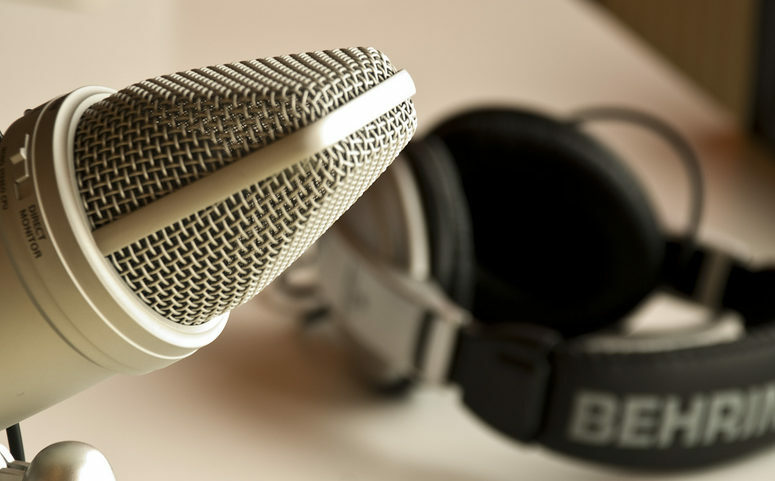 Planet Money: like the title of this blog, the name of this podcast may seem misleadingly narrow, it touches on so many more aspects of our lives, and features great in-depth stories. Binge Mode (from The Ringer): I actually don’t have this on my Stitcher list, but Mallory Rubin and Jason Concepcion’s voices make it into my daily life via my partner’s podcast list through their dialogue based on binge watching various TV show series of the day. Other stories from The Ringer that I would otherwise not expect to care about seem to have one extra level of quality and compelling storytelling when Bill Simmons is involved..
Levar Burton Reads: Levar Burton reads to us! OMG, Reading Rainbow Nostalgia meets Star Trek #NextGeneration fandom meets new re-introductions to fiction from a fellow sci-fi fan. A recent read offered up an amazing listen of a short story by Octavia Butler, an amazingly insightful author (and one of the few racial minorities widely published in the mainstream sci fi genre a few decades ago). We should count ourselves lucky Mr. Burton is gracing us with his continued voice in the pool of narrative storytelling in this day and age. The Moth Radio Hour: personal storytelling told from Moth events around the world that pulls at your heartstrings. I have actually been a paying donor of this podcast when it fit in my budget. The Unmistakeable Creative: interviews with entrepreneurial people sharing their successes, failures, and inspiring stories. Marketplace Morning Report: this is my perfunctory morning commute listen. The Record (KUOW): local conversations from Puget Sound stories (KUOW is also 94.9 FM). Seattleland: an excellent podcast out in 2018 of local PNW stories, backed by Seattle Weekly. I love how this format allows you to spend a little more time and care for the people at the center of the stories, even while they touch on very current concerns of the day. What’s more Chinese than wheat-filled porky pot stickers? Being a good host who makes all your guests feel welcome, that’s what. In 1980s Minnesota, growing up a first generation American-born child of Chinese immigrants, Asian produce and processed goods were not readily available at the grocery stores on University Ave in Saint Paul. For special occasions, my parents would host parties and invite all our family friends over to help fold dumplings. 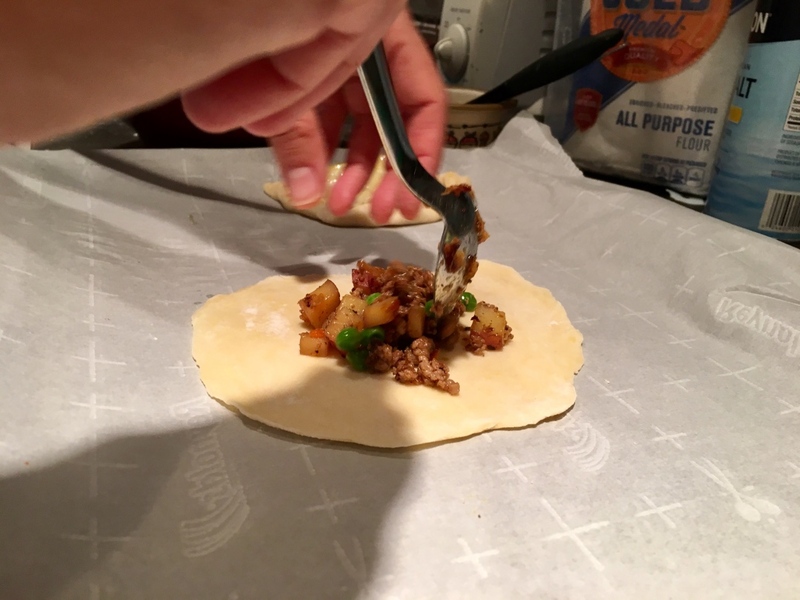 They’d mix the pork filling and procure wrappers and get everyone –ethnic Chinese or not– involved in trying their hand at wrapping the dumplings. I still remember one time our friend Javed found the filling so fragrant (it’s the toasted sesame oil in the pork) he asked if he could eat it raw. Was it that he grew up partly in Germany? Not sure, but sesame oil sure does make things smell good. Then my Mama would boil and/or fry round after round to fuel yet more dumpling wrapping. 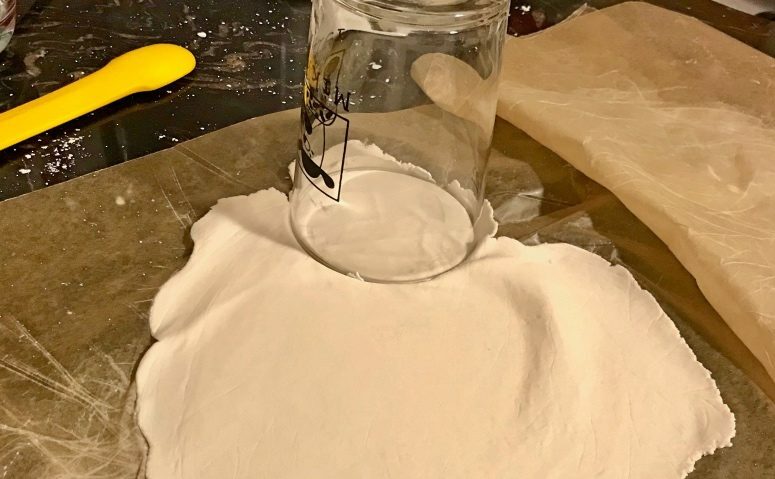 Some times my Baba would buy wrappers, other times I remember him mixing the flour and water and letting is rise, then rolling it out (by hand or by pasta roller), to be cut by the rim of an aluminum green bean can. In light of this childhood memory, I was excited when K conceded to hosting a few friends over for a pot sticker* party for lunar new year with only a week’s notice. 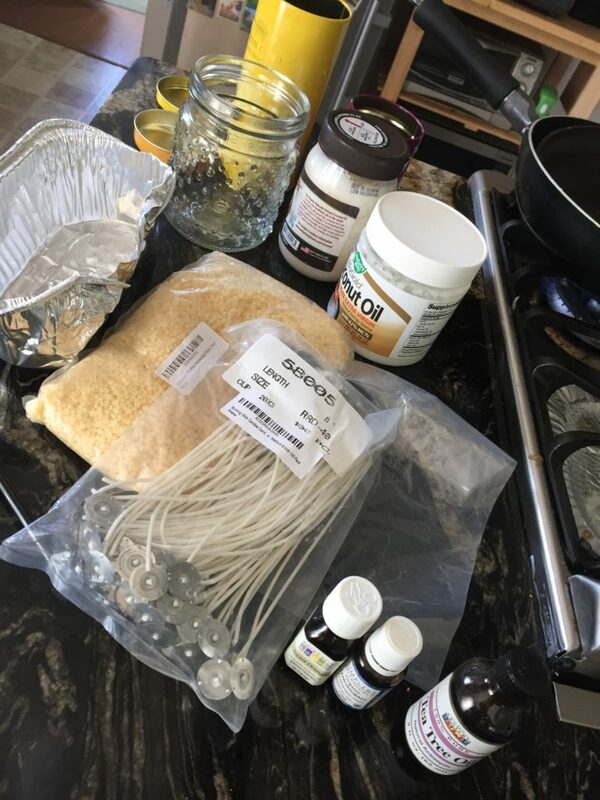 New challenge: make gluten-free wrappers for my friend Jillian, so she could join in the fun! Empanada-rama at Stephanie’s: I wish I could take a picture of this smell! The name comes from the verb empanar, meaning to wrap or coat in bread … Empanadas have their origins in Galicia (Spain) and Portugal. They first appeared in Medieval Iberia during the time of the Moorish invasions. A cookbook published in Catalan in 1520 mentions empanadas filled with seafood among its recipes of Catalan, Italian, French, and Arabian food. It is believed that empanadas and the very similar calzones are both derived from the Arabic meat-filled pies, samosas. The dish was carried to Latin America and the Philippines by Spanish colonists, where they remain very popular to this day. A dish truly borne of our collective human heritage! Proxy guest post, because my friend Stephanie says she doesn’t like writing about herself. 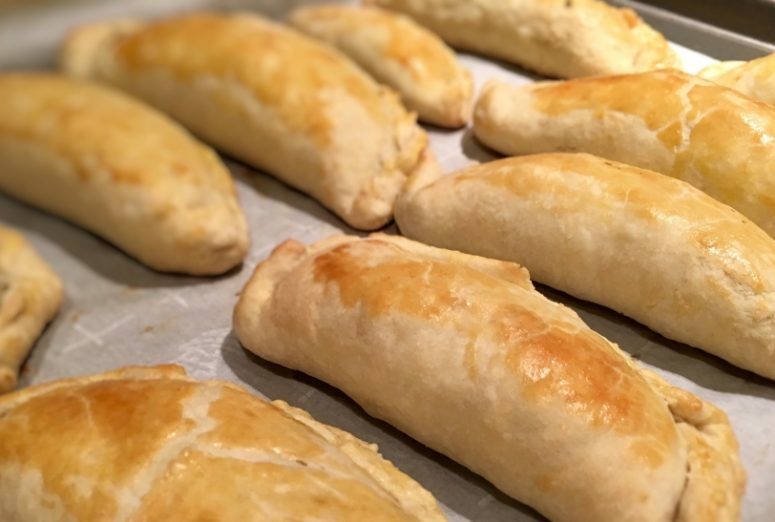 As one who loves all dough-wrapped dishes, she hosted the empanada-rama. Do you wish you didn’t have to go to the store every time you needed green onions (a.k.a. scallions)? 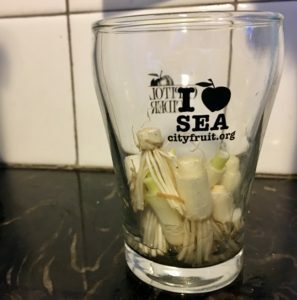 Next time you chop a bunch of ’em to cook, save the bottom bits -the part with the roots- and plop them in a jar with a little bit of water in the bottom. Change the water every day or so and watch them grow! I’ve gradually moved mine into the planter boxes on my patio over time (especially in the summer months), but I hear you can also just leave them in a glass with water. Voila, now you have green onions in the future, and didn’t even need to buy any seeds. Advice: don’t leave the same water in there too long or it can start to rot. 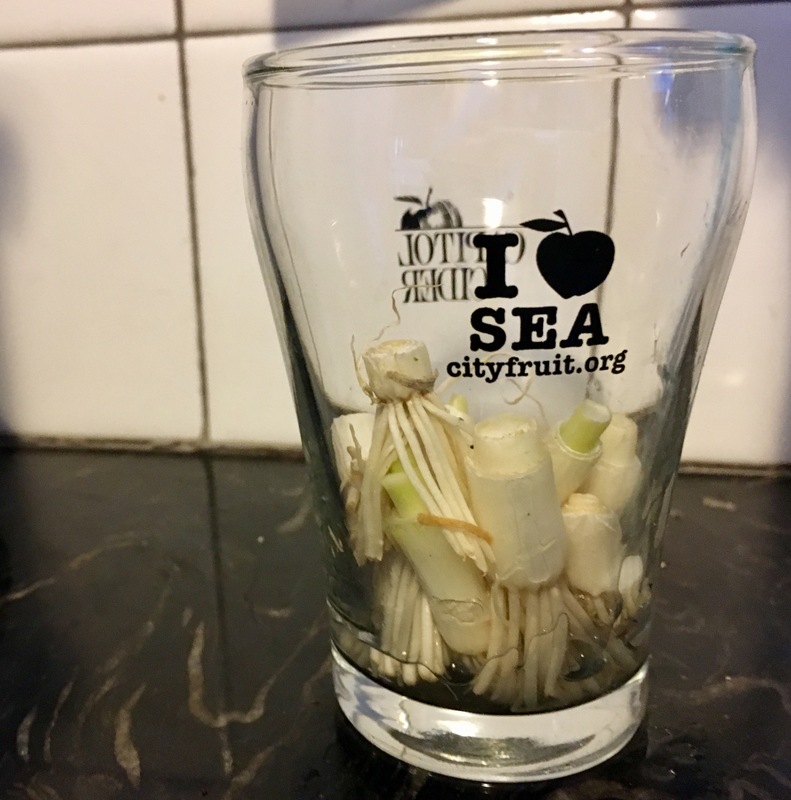 Day 3 of scallions in a glass: look! They’re reaching for the water! What 2017 Goals Do You Have? 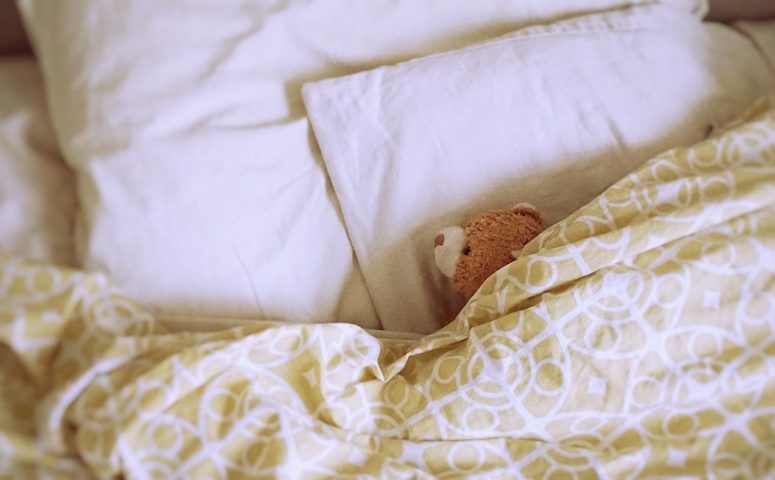 Warning to new parents: this post may stir up your rage nerve, as it involves talk of sleep. With the new year comes a feeling of renewed opportunities. Even if you weren’t making up new year’s resolutions, your friends might be talking about theirs and getting you thinking. I also have a few who eschew the term ‘resolution’ and prefer to think of ‘goals’. So, in deference to them.. This January, I’m attempting a goal to finally fix up my sleep habits, which currently consist of going to sleep too late, then waking up kind of early anyway. It’s been about a two-year slide into staying up later and later, between 10:30pm and 1:30am. Current target: 7.5-8 hours of sleep. Besides, I kind of feel like I’ve tried plenty of food and exercise-related goals and this will be an interesting change of pace. I’ll try to check in each Wednesday this month for a recap of how it’s gone. Step 1 in increased self-discipline: get next week’s “Wellness Wednesday” notes online before Thursday! I’m going to try to tackle one primary thing each month (provided previous month’s goal is met) with an overall theme of more self-discipline. Last year’s “read more” goal went well for the list of books I started with, but fizzled in momentum mid-year. What are you resolving to shift in your life in 2017? Inspiration: hop on over to my fellow Minnesotan and food-related blogger Lee Hersch’s Fit Foodie Finds for other ideas on getting more healthy! Any lessons learned or reflections from sleep training your kids, that you think could transfer here? Editor’s note: for the purposes of this post, all words that end with the suffix “oke” should be pronounced or more likely internally read as “okay”. Guest blog brought to you by marriage. Left coast living will bring you to Hawaii if you are of the means or the miles to get there. East coast has quick access to Europe and I guess the Caribbean and Newfoundland, but we get the tiny volcanic islands. 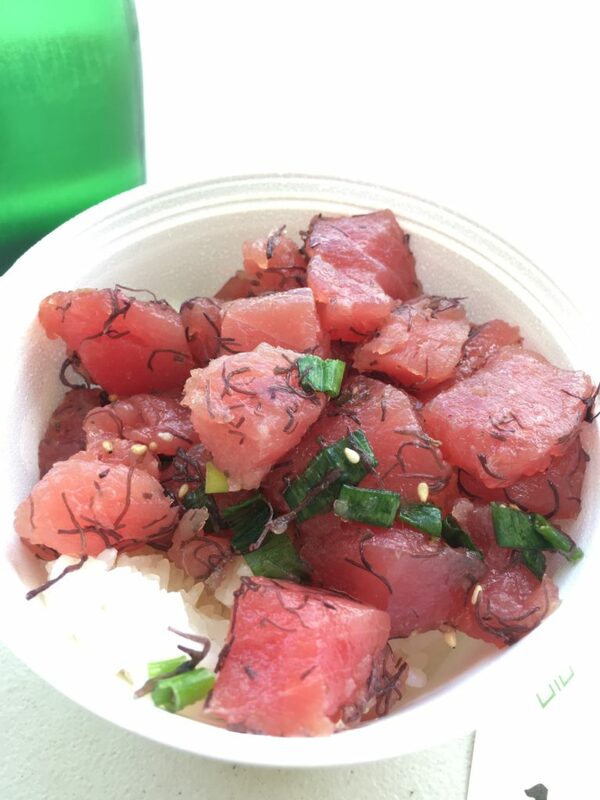 Upon recommendation of my cubicle-mate, I decided to try and enjoy some Poke during a recent visit to Kauai. A few foursquare searches later, I settled on Pono Market. No joke (please see editor’s note), the poke was delicious, and we ended up going back again prior to departing the island. The final meal was garnished with a bit of sadness due to the knowledge that I would not be able to reproduce this dance of flavors again upon returning to the Pac. Apple trees in Meridian Park, approximately 100 years old. 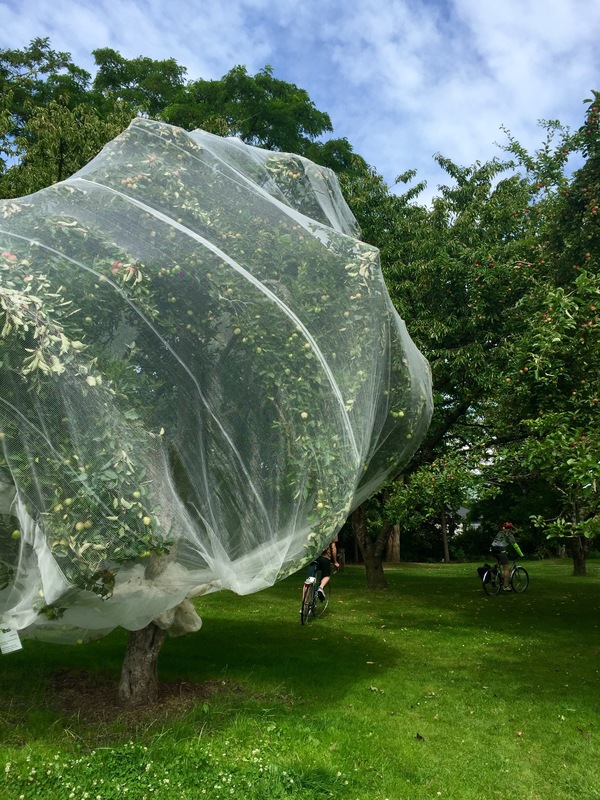 Netted by City Fruit to protect fruit from pests. Apples most likely originated in Kazakhstan from the Malus sieversii and brought over to America with European colonists then became a part of American culture with a little help from Mr. Appleseed himself, John Chapman. Around the turn of the 19th century, Johnny Appleseed bought some apple seeds from a Pennsylvania cider mill and headed to the Midwest to develop his orchards. At the time, the Homestead Act required settlers to plant 50 apple trees within the first year of holding their land and soon the apples, along with the settlers, began to establish their roots in America.